We need your votes no later than Today, June 28, at 12:45 PM so that we can print award documents for the closing session at 2:15. The bus transportation will start delivering attendees from the Hilton to the Ohio Union around 6:30 AM (last delivery ending at 8AM). Please make sure you bring your luggage with you to the Ohio Union. We will have rooms for you to store any luggage you have (check for information at the registration desk). The buses will begin taking individuals to the airport AND back to the hotel around 2:30 PM. PLEASE CHECK to make sure the bus you are on is going to the destination you desire. The second bus will make loops between the Ohio Union, Downtown Hilton, and Columbus Airport. The conference agenda has been updated on the agenda page. In addition, the conference book has been finalized. Please see that document linked here. It will be offered as a physical copy at the registration desk on June 27. NLM-2016_Conference-Book (Please note: if you notice any errors in the book, please send a message to James Gentry so that it can be rectified). Attendees should now be able to access the 2 step registration process. Details are here: http://u.osu.edu/nlm2016/registration/. Ohio State’s Department of Biomedical Informatics will accept check, credit card, or purchase order for the registration fees ($135 per registrant). Hotel details can be found here: http://u.osu.edu/nlm2016/hotel-and-area-information/. The hotels rooms can be reserved until May 27, 2016. Please make sure you mention the NLM Informatics Training Conference 2016 (Registration Code: LIBMED) when you call to book your rooms. The airport located in Columbus, OH is called the Port Columbus International Airport (Code: CMH). Details on how to get around Columbus and to the hotel from the airport can be found on our transportation page: http://u.osu.edu/nlm2016/travel-and-transportation/. If you have any issues with registering, please do not hesitate to contact us: BMI.education@osumc.edu or (614) 292-4778. 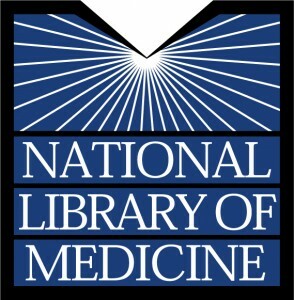 The National Library of Medicine (NLM) supports research trainees in biomedical informatics at 14 educational institutions throughout the United States. These programs offer graduate education and postdoctoral research experiences in a wide range of areas including: health care informatics, translational bioinformatics, clinical research informatics, and public health informatics. Several programs also offer a track in dental informatics. Each year an informatics training conference is convened to bring NLM trainees together to showcase their work, to evaluate the full scope of current work in the field, and to meet their peers. The 2016 Informatics Training Conference will be held at The Ohio State University, Columbus, OH, June 27 – 28, 2016. All trainees on full-time NLM appointments at university-based programs as of the date of the conference are expected to attend this meeting. Trainees appointed at the Lister Hill Center Informatics Training Program, the NIH Clinical Center Informatics Program and the Veterans Administration sponsored training programs are also invited to attend and make presentations.